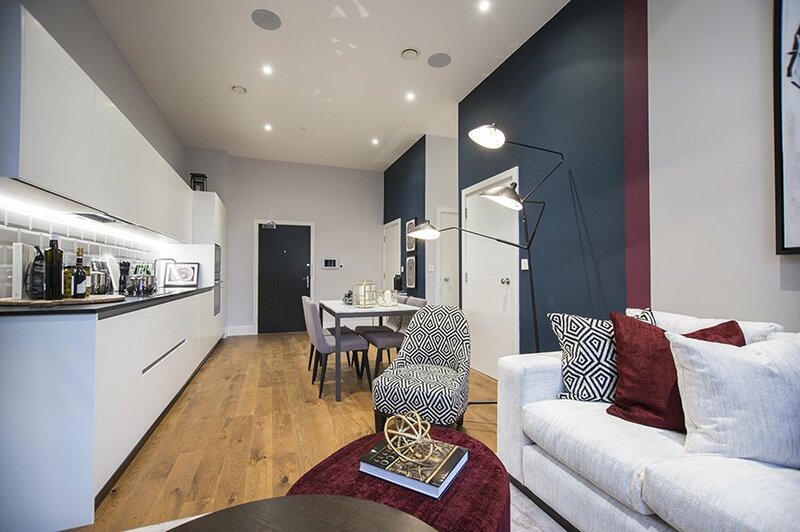 Shared Ownership Studio, 1 and 2 bedroom apartments launching on Saturday 22nd September! 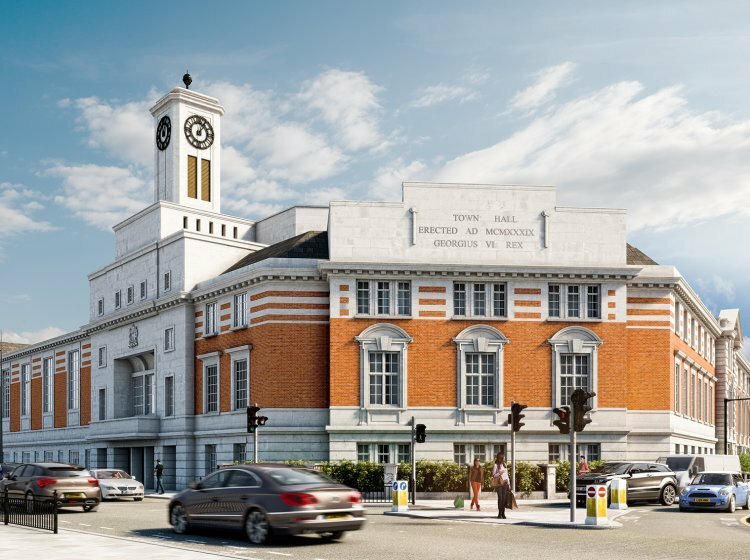 The prestigious Grade II listed building that was once Acton Town Hall, home to civic splendour since 1910, has undergone extensive redevelopment to create much sought after residences in the heart of Acton town centre. A bustling, cosmopolitan location, with its many bars, pubs, restaurants and coffee shops; plus excellent transport links to wherever you want to get to in London and beyond. Acton Central is a mere 6 minutes walk away from the development and Acton Town tube station just 15 minutes. From there, via the Piccadilly and Circle & District lines, you can be in Knightsbridge in 17 minutes and Leicester Square in 24 minutes. 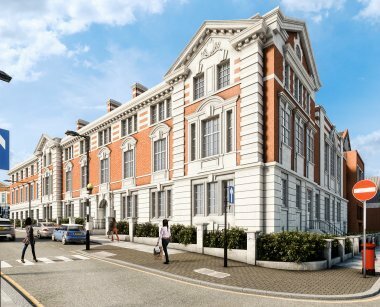 The Old Town Hall, with its heritage setting and elegant façade, comprises 58 sensitively converted apartments in the existing building; and 13 new build apartments situated in a carefully designed extension annex & offering home buyers real choice. Many of the converted apartments have beautiful original wood panelled walls, stunning period features and lofty ceiling heights of 3.6m. 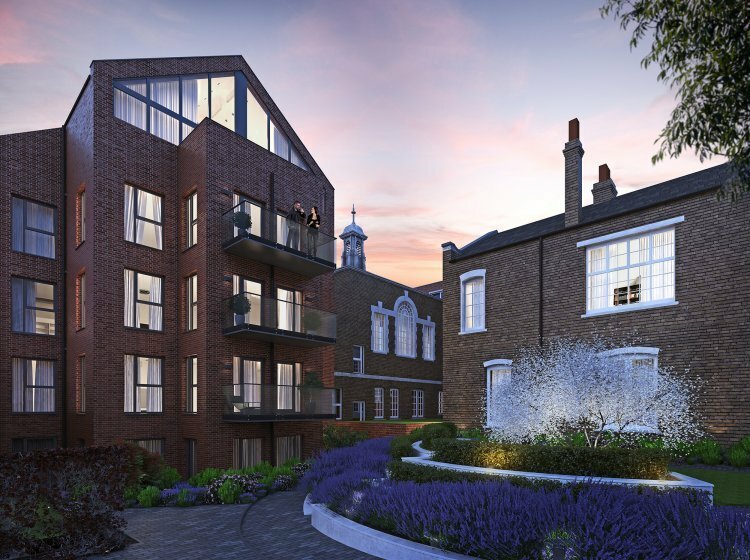 While the new build apartments are equally well designed and proportioned, perfect for those who want to live in an historic setting, but within a newly built home. CALL 0344 800 8043 NOW TO BOOK AN APPOINTMENT AND FIND OUT MORE. The floor plan shown is one of our many apartments. Floor plans are not to scale and are indicative only. Location of windows, doors, kitchen units and appliances may differ. Doors may swing in the opposite direction to that shown on selected [apartments/houses]. 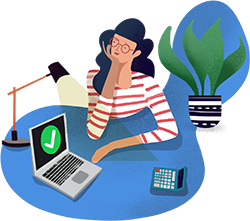 Dimensions, which are taken from the indicated points of measurement, are for guidance only and are not intended to be used to calculate space for items of furniture.Total areas are provided as gross internal areas and are subject to variance. Please speak to our Sales Consultant for further information. 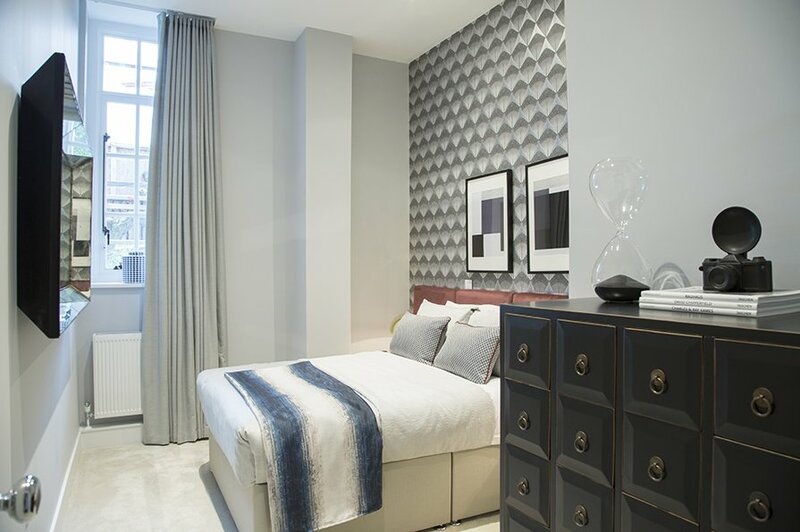 The Old Town Hall is perfect for anyone who wants to live in a stunning heritage setting, but with all that London has to offer on the doorstep. Acton Central is a mere 6 minutes walk away from the development and Acton Town tube station just 15 minutes. From there, via the Piccadilly and Circle & District lines, you can be in Knightsbridge in 17 minutes and Leicester Square in 24 minutes.